6 days. 7 stages. 400 miles. 32,000ft of climbing. Only one bobble hat. It was a hard week but I didn’t die! 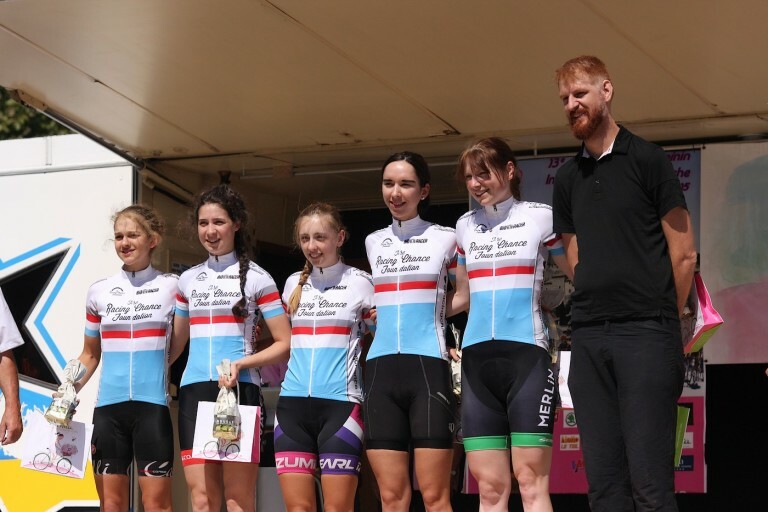 Okay so the full name of this event is Tour Cycliste Féminin International de l’Ardèche but let’s just call it the Women’s Tour d’Ardeche for now. 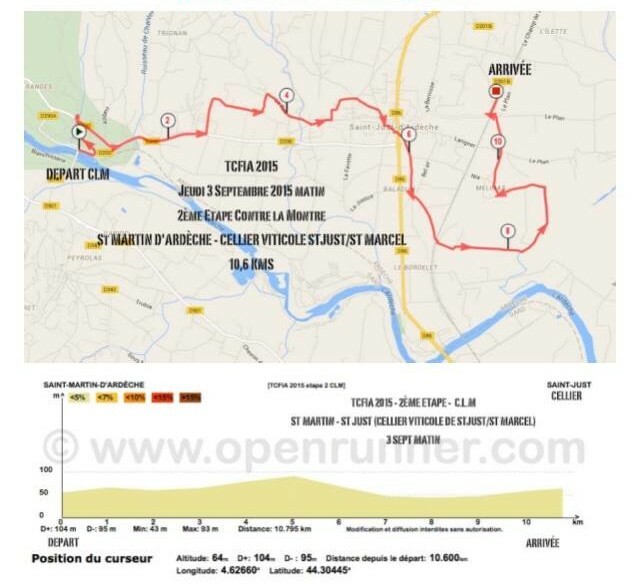 The Womens Tour d’Ardeche is is a women’s 7 stage cycle race which takes place in France and is rated by the UCI as a 2.2 race. You may remember that Emma Pooley won it a couple of years in succession back in 2011 and 2012. 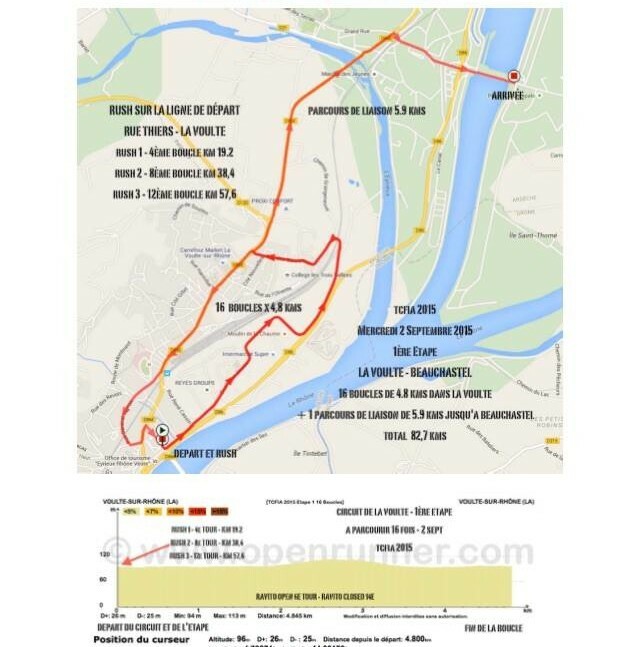 This year’s was my first ever international stage race. Seven stages over six days. So many things happened, the racing, the views, the stories, the travelling – for me this whole experience was like being a full-time professional rider. 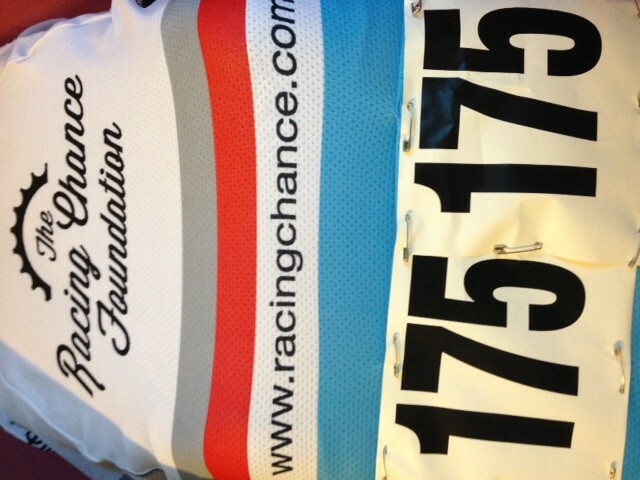 I was given the opportunity by the Racing Chance Foundation to represent the team and the charity at this amazing event. 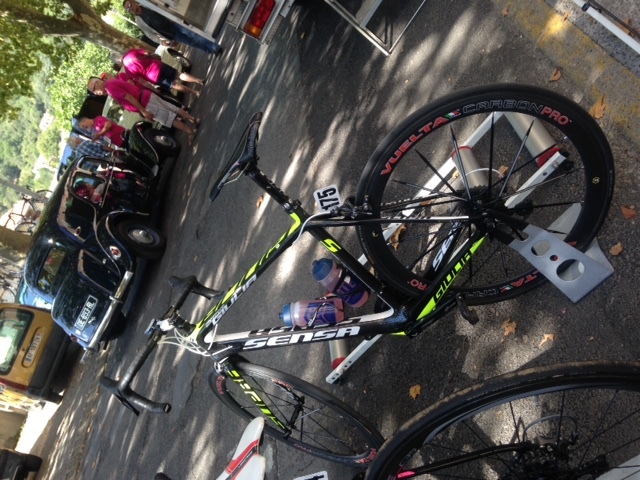 We arrived in France the day before the first stage. All the teams were staying on the same campsite, in mobile homes. This was great – we were living next to Astana, Australian National Team and the American Twenty-16 Team for the week. In all there were 25 teams racing, with lots of nationalities represented and plenty of world class riders. The first stage was a 82.7k town criterium. if anyone was thinking that it might be a nice sedate stage then you would need to think again! It was sure enough full gas and this was day 1! Although everyone was pretty much together at the finish it was a very aggressive and attacking style of racing. As you can see from the course profile, the time trial looked pretty pan flat. However it’s fair to say that the organisers printed off the wrong course profile as it was anything but flat! Straight from the start ramp we were up the hill through the narrow and technical lanes. We were ‘lucky’ to have a very small section of main road to remind us of what time trialling in Britain was like – albeit coned off the width of a car – before then turning onto a very technical section. 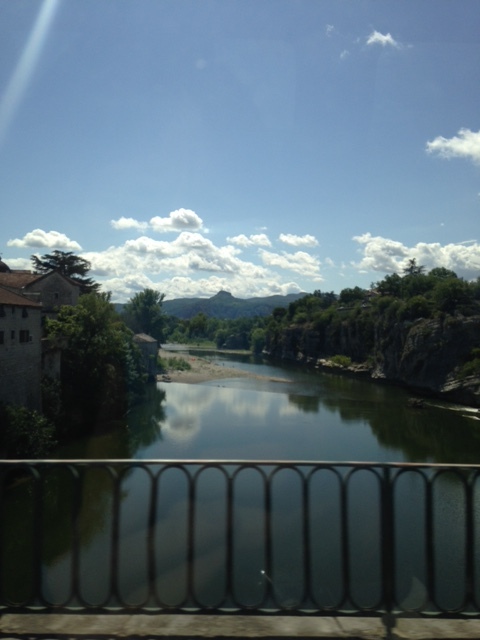 14% climbs, lefts, rights, descents, bridges – we had everything thrown at us. 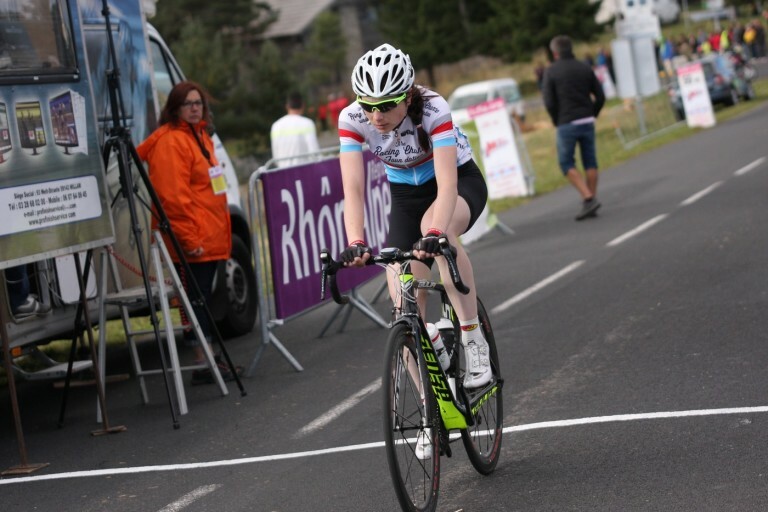 With it being my first stage race it was really difficult to know how to judge the effort. 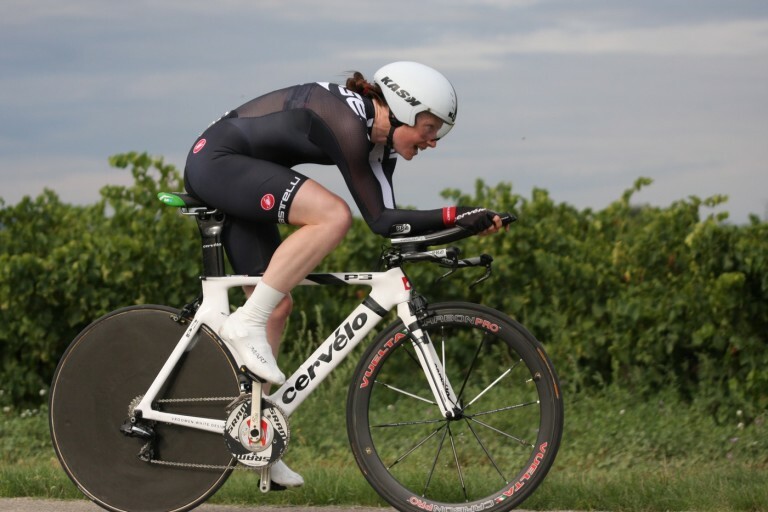 The time trial wasn’t long enough that it was ever going to impact on the General Classification position at the end and go too far into the red and there was still 5 big (and I mean BIG) stages to come. I finished in 69th position. On reflection I certainly learnt a lot about what I could have done differently. A quick lunch stop and then we were straight into the van for a 90 minute transfer to the next stage. 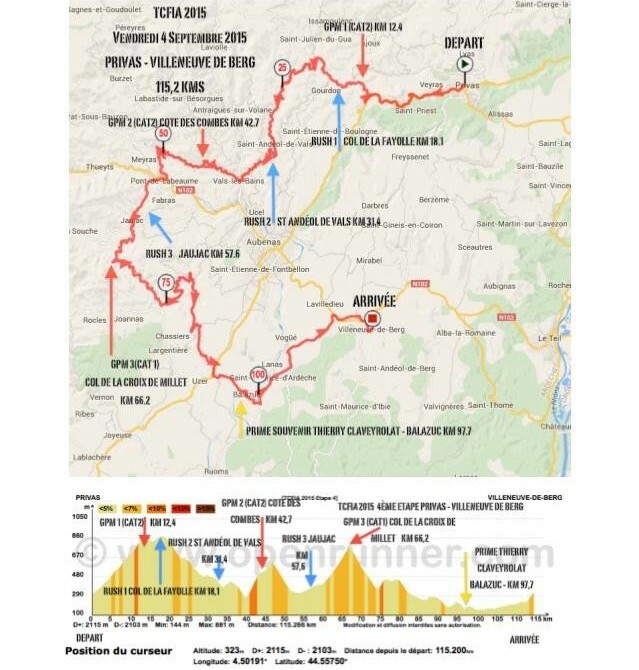 Stage 3 was going to be the first insight into some of the smaller climbs that we were going to be facing during the week. Again the race was full-on from the start and, whilst most of the riders stayed together on the climb, the real difference happened on the descents. Hairpins, lefts, rights, cambers… with the real difference being the speed – there is absolutely no hanging about and sure enough that’s when the gaps opened and groups formed. This event was certainly going to be a first for many things. 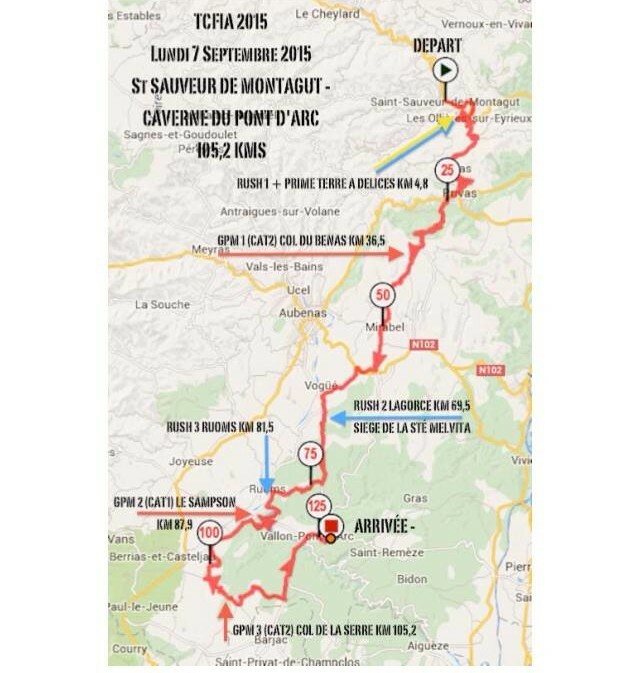 This stage presented itself as the first stage with over 2000m of climbing. The stage started straight up hill. To begin with we all stuck together at a steady pace but then the attacks started, gaps opened and groups started forming. On one of the descents a group of keen cyclists decided to head up the road that we were racing on. As we took the racing line on one of the blind bends unfortunately one of the racers hit one one of cyclists. This resulted in one somersaulting bike and a rider over the wall. If you saw the stage of the Tour de France this year with Geraint Thomas flying off the road – that was pretty much what I witnessed. It’s a difficult position to be in. You can’t help. You are there with just your bike. Luckily the convoy with police and ambulances were just behind and after a rescue effort the rider was pulled up and put back on their bike to finish the stage. The big mountain day complete with a summit finish. Today was the day that we were to race up the big mountain. Yowsers it was big! 1300m to be precise. We then had a long descent followed by a final climb up to the ski station. 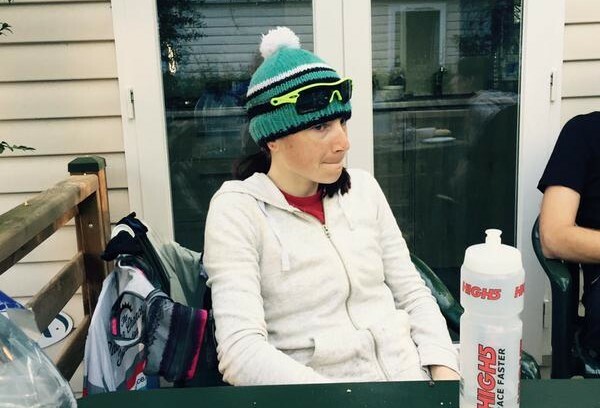 The team were taking the mickey out of my woolly hat that I would wear in the cooler mornings, however once we reached the finish it was apparent that all ski wear would be needed to keep as warm as possible as we huddled into the car after the stage finish! The longest stage of the entire race. And possibly my entire racing career! 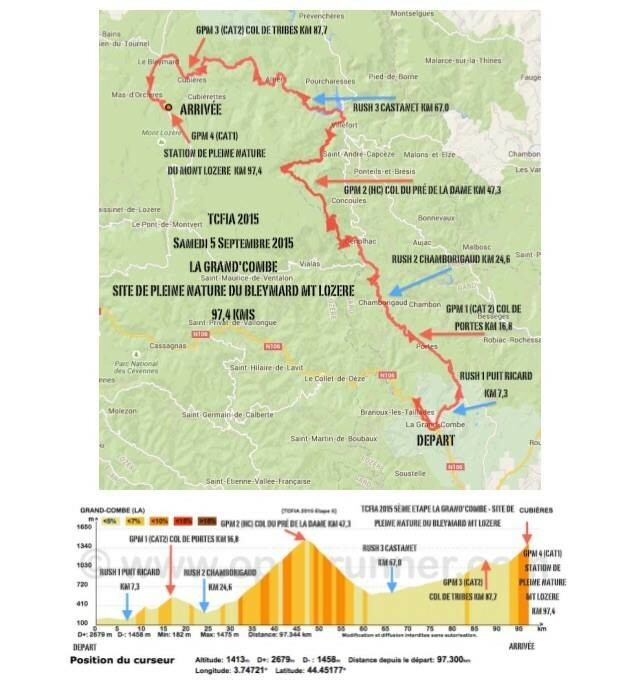 This stage was held around the roads near Mount Ventoux – and as those that follow the Tour de France know – this mountain deserves the upmost respect. The roads below and surrounding it do too. The winds were howling and everyone opted for shallower wheel rims as the crosswinds were full-on. This was the day that you knew that everyone was either going to respect that we were all tired and it was going to be a long day in the saddle or… stick you in the gutter, make it as hard as possible and get as many people out the back as possible. The situation was the latter. Within 10km I was on the back foot. When I say back foot I mean out the back of the group, out of the vehicle convoy and on my own! This was going to be a long day. Never-the-less I wasn’t going to quit. I got into my rhythm and soldiered on. I soon saw a South African rider in front, made contact and we worked together. We then caught up with a Norwegian rider and the three of us worked well as a team. Then on a small incline we lost one of the riders off the back. I shouted for them (as we needed to work together because as a two person team there were small chance of making it anywhere). After a bit of pleading from the other rider to leave her I insisted “no way”, gave her a push and asked her to do turns when possible. We soldiered on. Then all of a sudden we could see the vehicle convoy and the peloton! The wind was still battering us but we continued pressing on and then car by car, we made it back. We all took a deep breath of relief. One of the riders tapped me on the back and said thank you. We shook hands and then both realised that in these conditions the back was not the place to be. We parted ways and headed upwards further into the pack. The day was certainly long and definitely hard. Coming into the town finish we had a fun cobbled section to negotiate and to complete yet another day. Just one more to go. That evening we were forgiven the monotony of our usual routine and headed to the restaurant for a meal. Oh my word it was delicious! We even caught the Americans having a crafty dessert with plenty of whipped cream on top. The final stage. We made it to the final stage. By now it was hard to know how your body will react to such intense racing, the recovery… and the eating. It’s fair to say I don’t think I ever want to see another rice cake, tin of tuna or slice of ham again. About the only thing I could eat was a handful of Haribo before the stage start! There was a money prime at 5km so once again it was flat out from the start and into the first climb. I was with the main group at first and then slowly the accelerations started to come and then the gap happened. That wheel that you can’t quite close the gap to. You are on your own again. I had a brief moment to recover and then set about again. I managed to find two Spanish riders to work with and then we ended up having a nice group. The first climb was 10km. I really wanted to get back to the main group so I put myself on the front and set about getting to work. The km’s were ticking away and we were making time on the group ahead. I heard a shout of “3k to go” and knew that we had to continue pushing on. With about one km to go we made it back. It was a real compliment to have some of the girls in the group say thank you for all my work in getting us back. It still gives me goose bumps writing that now. It doesn’t matter what team you are in at that moment – you have to work together to get back. On the descent, we had a small incident when a local holiday maker pulled out into the race group with their caravan! The police were straight onto it, and eventually we managed to get by. The antennae at the top of the hill in the pic above is the top of the Category 1 climb. Eventually though the groupetto had been formed. I have to admit, I was feeling frustrated. I really wanted to race well. I had two options, sit in the group and be content or put myself out of my comfort zone and go solo to see if I could get across to another group. Naturally I went solo for 35 miles. The final climb of the day I will never forget. 1km to go. I pass the team cars lined up on the side of the road. Cheers from the riders and team managers already there sipping Coke – how much at that moment would I have loved a small can of Coke! 500m to go. Still no sign of the finish line though. Did I see that correct? Up hill, round to the left… 300m… 250m… 100m…I crossed the line. I’d finished! If I’m honest there was no celebration. I was so completely parched I just rolled over the line to find Steve our trusted mechanic to grab and guzzle two bottles of water from. It was the nicest water I think I’ve ever had! How would I sum it all up? So that was that. Writing about it now it seems like a distant memory. Walking back into the work office again it was like I was leading two different lives. I cannot thank everyone enough for this unbelievable opportunity. Thanks to my team mates for the week. Our DS (Directeur Sportif), mechanic and carers for looking after us so well. Thanks also to the organisers of the event – absolutely everything was brilliant. The first thing I said when I went back to the team car was I’m coming back next year and that I truly hope to do. 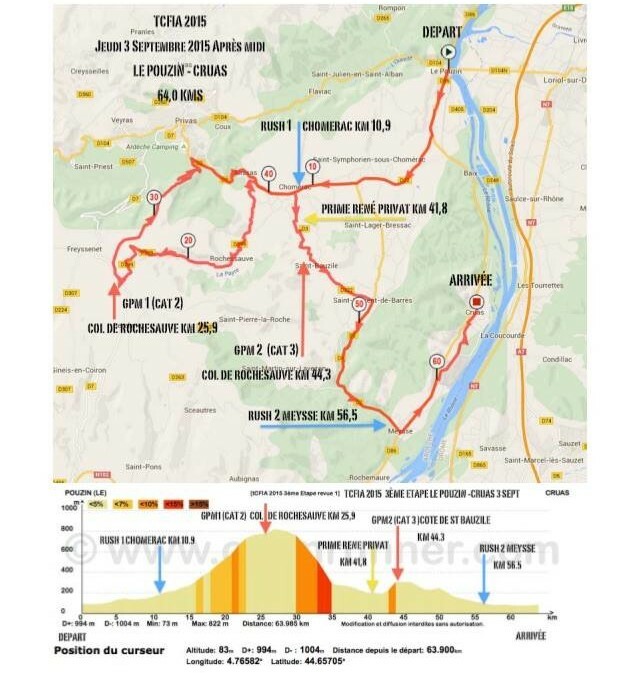 That was the Womens Tour d’Ardeche. 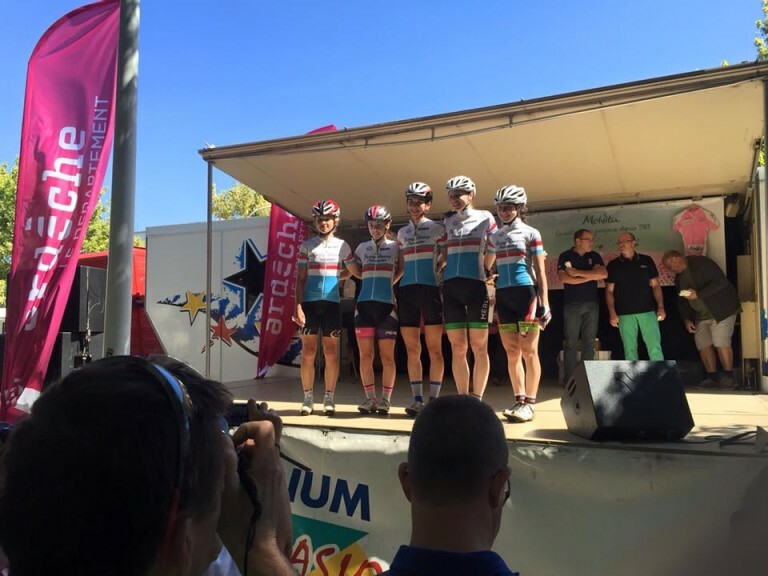 Tagged bex, pro cycling, racing, staff, TCFIA, team merlin, Tour Cycliste Feminin, women's racing, womens cycling, Womens Tour d’Ardeche. Bookmark the permalink.